Seribu Islands Asset Management Agency has installed 50 information signposts in Jakarta's land asset locations. It is done to avoid other parties from claiming ownership of the lands.
" 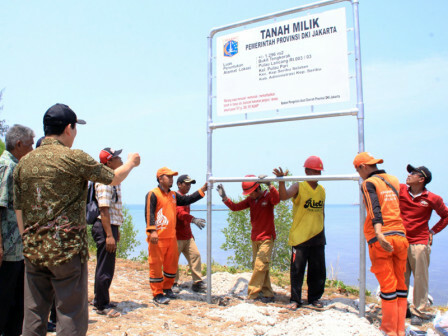 We will continue collecting data of the other assets"
Seribu Islands Asset Control and Removal Division Head, Hery Farulian mentioned, information signposts are installed since September. "50 asset signposts installation has been completed by early November," he informed, Monday (11/12). Asset signposts installation is done in 19 locations in Pari Island Urban Village, 13 locations in Harapan Island,16 locations in Kelapa Island, and 2 locations in Panggang Island. "We will continue collecting data of the other assets," he stated.